“Great leaders are not defined by the absence of weakness, but rather by the presence of clear strengths,” these are the word of John Peter Zenger. Experts argue that the only individual who really knows all of you what’s your strength, what’s your weakness and what are your intentions is yourself alone. They argue that the best person to identify what is good for you and what is bad for you is yourself. No one knows all the experiences that you have faced how each experience changed you as a person. No one knows how these experiences groomed your personality to develop your likes and dislikes and why you have certain expectations in certain situations. No one knows what your intentions are in particular situations. To put it in a nutshell, no one knows you like you know yourself. So, when performing an interpretation of a person the best person to consult is that same person? Not exactly, it is involuntarily human nature that when confronted about our own performance, we tend to blow things out of proportion. So the first thing that is required to begin this analysis successfully is honesty. This analysis was initially developed for businesses but it is equally effective for personal growth. A SWOT analysis can help you identify strong points to list for your personal statement help. To conduct the analysis, find yourself a spot where you are completely comfortable as well as a place where you have complete privacy. Ideally, the less distraction you have at this location would be the most productive scenario. The best case scenario would be to grab a notebook or a notepad which you can keep to yourself later on. Others may choose between handwriting VS typing, but a pen and paper will do just fine. Some people might be confused. How is this analysis going to help me to overcome weakness while writing a productive dissertation or any time when I need to be crucially and completely attentive? Suppose you are a tennis player and you have an amazing backhand. You have qualified for a very important match-up. Do you use this match to practice your fore handed shot? Of course not! You will develop and fine tune your backhand to make sure it can be used as a weapon during the game. Any and all strengths which you have can be refined to perfection. Initially, it can be difficult to pinpoint characteristics which you would consider to be strengths. Start by listing the simplest psychology personal statement attributes which you consider to be characteristics of your personality. 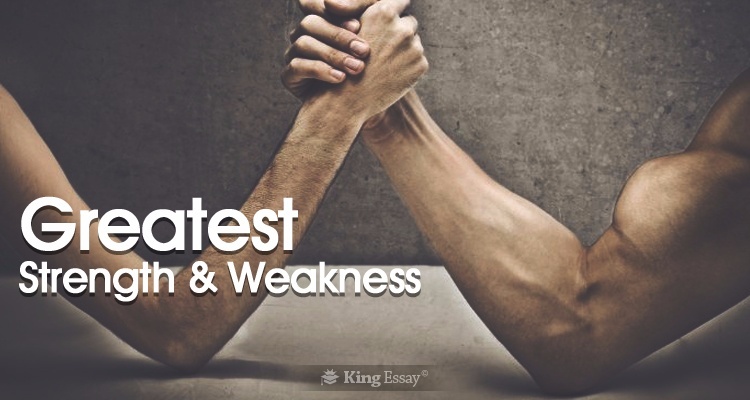 Once you have completed writing your strengths, follow the similar procedure to identify weaknesses. Identifying weakness should be done with complete honesty. You know if you need to work on a certain part of your personality, if you don’t identify it now, you may never improve it. We have the example of many famous athletes who turned their weaknesses into strengths with hard work and diligence. Now that you have made a list of my strength and weakness, now begins the next stage. Nobody knows your current circumstances in as much depth as you do. This is the time to identify all of the opportunities which you can possibly take advantage of. Some of these opportunities might not be so apparent. It might be something that has been in the back of your mind for quite some time but is no longer on your mind at the moment. This is the time to conduct some quiet deliberation to make sure you’ve exhaustively listed all of the possible contingencies. Also list all of the threats and challenges currently pertaining in your life. These could be things you want to disassociate yourself from or alternatively things you do not like. Now begins the best part. The time it all starts to make sense. Try to correlate an opportunity with strength or a weakness. Victory lies in making good associations between all of the strengths and weakness with the opportunities and threats. You will see that with some associations you will have a favourable upper hand because of your strong points. In other cases the inverse might be true you may be at a drawback because of your weaknesses.